← Blog Project Day 99: He Lives! Allelujah! He Lives! 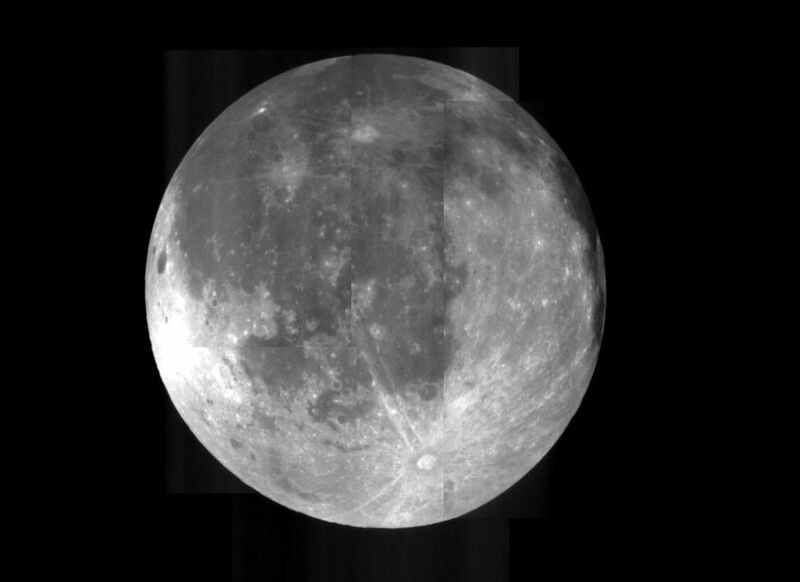 Mosaic of the near side of the moon as taken by the Clementine star trackers. The images were taken on March 15, 1994. In this view, north is up. The bright crater near the bottom of the image is the Tycho. Photo from NASA photo gallery of the moon. The easy answer is that it began with grief. the sun dumbstruck, the moon full and sulky. the way someone wished it into a weapon. of a lullaby to outshout the recalcitrant moon. From outside someone asked, Does it always sob this loudly? Someone else sang so loudly even the moon had to shout. Grief, meanwhile, curled into the room’s abandoned mouth. Silent and sinful as a wolf, it held its tongue.